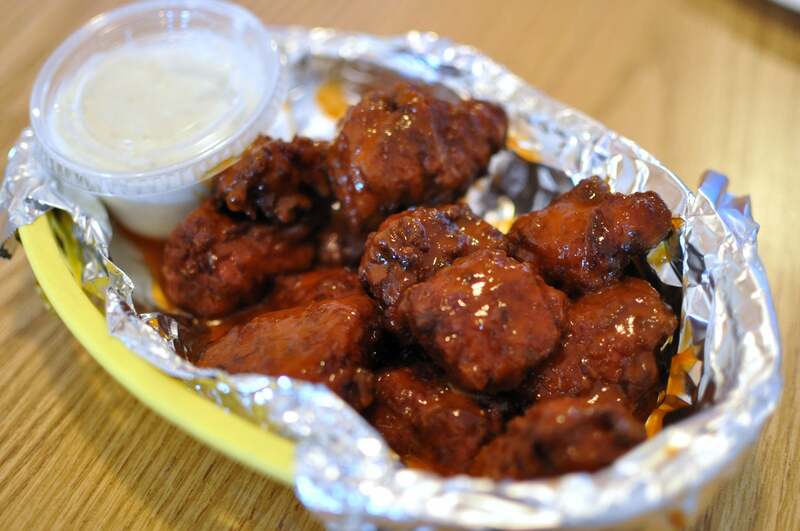 Maybe I was naive, but I always believed boneless wings were… wings? I never gave too much thought to how they got boneless, but I'm not a butcher, so why should I worry about it? But then I came across a recipe for making boneless wings at home, and, well, I'm a little bit shook. The upside here is that since boneless wings require no de-boning at all, they're super easy to make at home — or, if you've already been making something like this, you no longer have to tell adult guests you're serving them chicken nuggets. This Epicurious recipe at least has the decency to put "wings" in scare quotes. The Kitchn has a recipe for baked boneless wings, using panko and your broiler to get crispiness without frying. They're still tossed in barbecue or buffalo sauce, with nary a bone — nor skin — nor wing — to be seen.